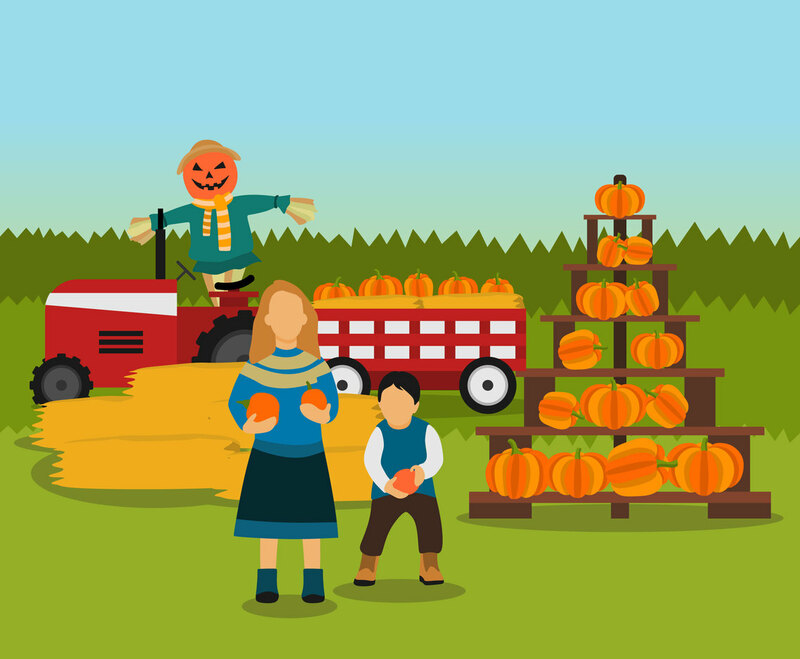 Vector illustration of pumpkin putting or pumpkin booth in Fall Festival. There is also a tractor with a wagon full of hays as hayride, also a scarecrow in the illustration set. It will be great for any design layout such as poster or infography that has Fall Festival theme.